On some devices, you must first add a Bookmark to the site before adding it to your Home Screen. Otherwise, you won’t get the proper icon. This works on a large number of devices, but you may experience flickering and slower performance than you would see in a native app. The “Back” button does not work on all versions of iOS7. This is a known issue which Apple has ignored for 10 months now. I recommend using Greg’s app if you have an iPhone. How can I share the app? 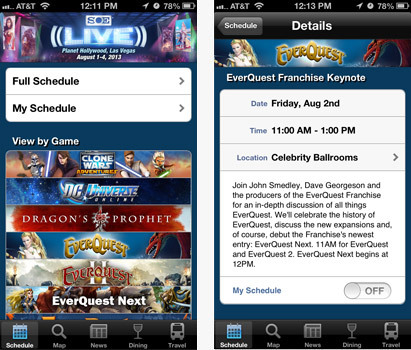 If you have any questions or comments about the SOE Live Schedule app, please feel free to post a comment below! Rage comments about Android vs. iPhone will be deleted on sight. Thank you, thank you, thank you! 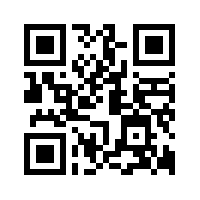 We are working on linking this out wherever we can! 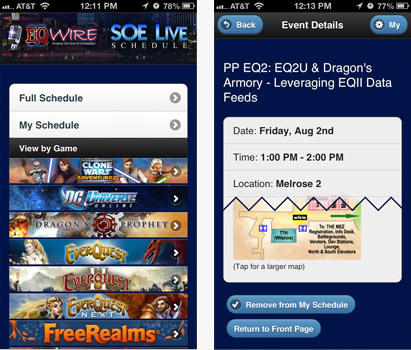 So does this mean that when/if SOE makes changes to the official line up, the EQ2Wire app will also update? MINOR feedback from me is that the Page title is still for soe live 2013. When I set a bookmark it uses that as the name. Wow I am not seeing 2013 anywhere. Could be cached. With a site that works offline like ours, it’s sometimes pretty hard to convince your device to let go of the old stuff and snag the new. Plus, if you happened to bookmark it last year, it won’t update the name of the bookmark because that’s now saved within your bookmark. You could have called it Fred and it would stay called Fred.